Having a backup of your Viber messages can mean the difference between losing them completely, or being able to recover them if you do accidentally delete them. While there are several ways to back up your Viber messages including on iCloud and iTunes, it is more important to be able to have more than one backup for your messages. 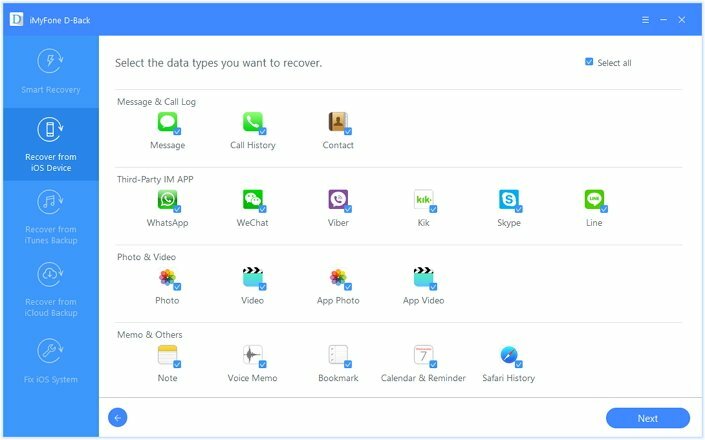 This article will focus on alternative ways to back up your Viber messages from iPhone including via email and by saving them to your computer. The methods below also work on iOS 11. Backing up your Viber messages to your email is probably one of the best ways to keep them safe and prevent loss. It is also a great way to keep important messages that you don’t want hanging around on your phone where anyone could gain access to them. The following is a step by step tutorial to help you do that easily. Step 3: Choose “Email Message History” and wait for the backup to be created. Once it is created, select the email application you would like to use and then send it to yourself or any other email address. Another great way to backup your Viber messages is to save them to your computer. This method is easy to do when you have the right tool and keeps the messages safe and accessible when you need to restore them to the device or just refer to them. To save Viber messages to your computer quickly and conveniently, you need a third-party tool that will easily extract all the messages and their attachments to your computer. 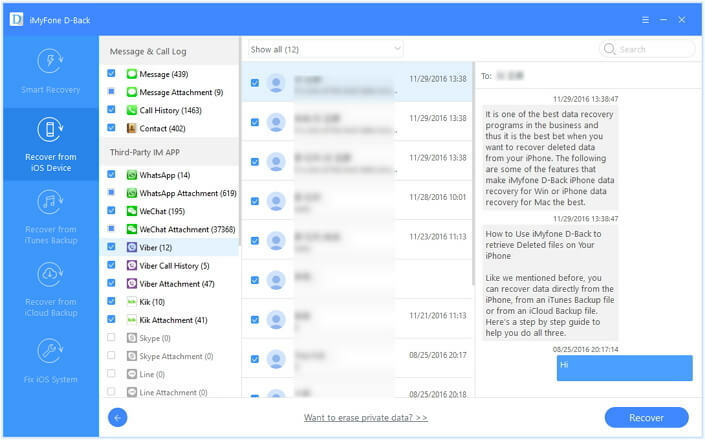 One of the best tools for the job is iMyFone D-Back or iMyFone D-Back for Mac (compatible with iOS 11) and the following are some of the features that make it the best. It is very easy to use and quite effective at not only extracting Viber messages and their attachments but also recovering lost Viber messages from your iPhone. It supports mutiple file types such as contacts, photos, videos, text messages, WhatsApp messages, Kik messages, Line messages and more. It has a preview function that allows users to extract and recover messages selectively. The following is a simple step by step tutorial to help you save Viber messages from your iPhone to your computer using iMyFone D-Back. 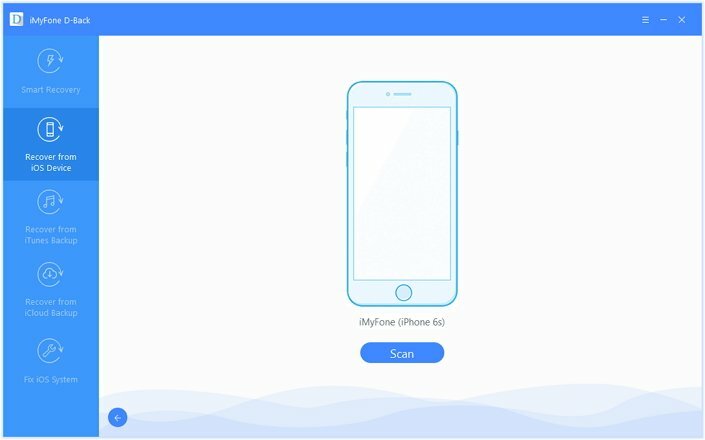 Step 2: Connect the iPhone to the computer and then click “Scan” when the program recognizes the device. Step 3: When the scan is complete, all the Viber messages on the iPhone will be listed in the next window. Select the ones you want to save and then click “Recover” to select a location on your computer to save the messages.